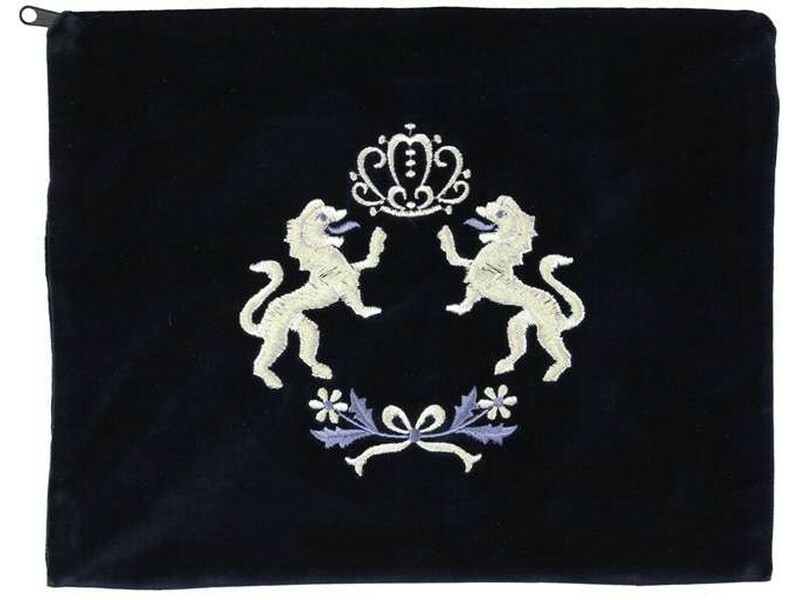 This navy colored velvet tallis/tefillin bag is decorated with the age-old Judaic “Lion of Judah” design. Masterfully embroidered with silver and lavender colored thread, two lions, standing upright on their hind legs, grasp a crown symbolizing kingdom and royalty. Beneath the lions, a bow with flowers elegantly adds a finishing touch to this classic design.